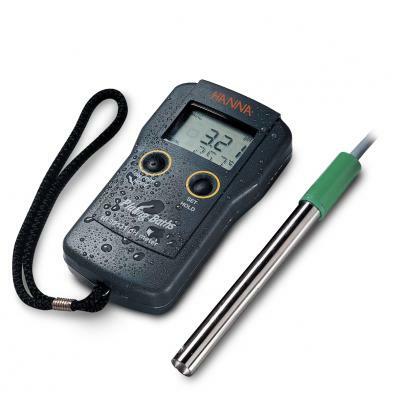 Easy to clean and prevents solids from collecting on the sensor. 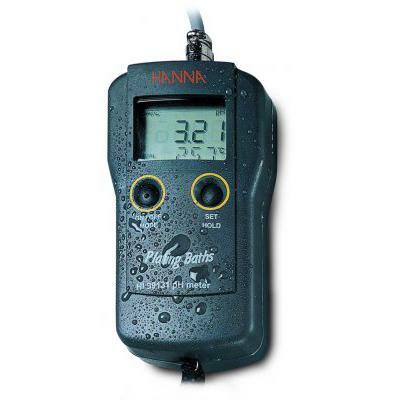 Hanna Instruments™ Plating pH Portable Meter is a pre-amplified, double junction pH probe with a recessed flat tip. The titanium body functions as a potential matching pin for increased stability and extended sensor life. 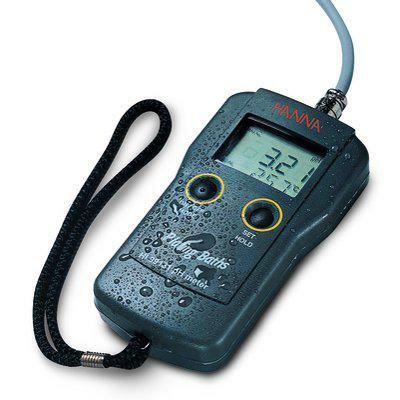 The HI99131 is a waterproof, portable pH and temperature meter specifically designed for use in plating baths. Titanium construction provides an unbreakable structure and allows the transfer of heat to the internal temperature sensor for rapid temperature compensation. The maintenance-free, gel-filled electrode does not require fill solution.